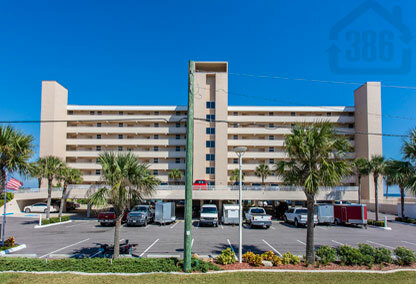 Southpoint is a rare oceanfront opportunity in Ponce Inlet. Being the only condo in this quaint beach town that offers one week rentals, this condo sets itself apart in terms of value and versatility of use. Enjoy retirement or vacationing along the sands of the World’s Most Famous Beach and earn some extra income when you’re not using your condo home. Each unit here has a private oceanfront balcony where you can enjoy postcard worthy sunrises each morning. Units here are smaller, mostly two bedroom, with 2 three-bedroom units with 1,346 sq. ft. of living space on 7th floor. Call us today at (386) 527-85777 to find the perfect oceanfront condo home at Southpoint or in one of the many other options along the shores of beautiful Ponce Inlet.